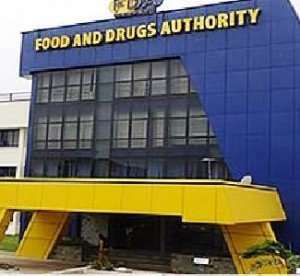 The Food and Drugs Authority (FDA) has caution prayer camps and faith based organisations to desist from giving unregistered herbal medicines to unsuspecting clients for the healing of various diseases. Mr Samuel Kwakye, the Eastern Regional Director of the FDA, said the law required that all herbal drugs meant for public consumption and their production sites were inspected, registered and then approved to be safe for consumption. He said that requirement was applicable to all including the prayer camps and faith based organisations and warned that the FDA would soon pursue prayer camps that were distributing unregistered herbal drugs. The caution was given at a workshop organised by the Ghana AIDS Commission (GAC) for prayer camp operators and pastors as well as the Ghana Health Service to strengthen collaboration among stakeholders on HIV and AIDS community service delivery, in Koforidua. The workshop was organised following startling revelations that HIV careers were abandoning medical care as well as their Anti-Retroviral (ART) treatments and resorting to prayer camps leading to high defaulter rates and deaths. Ms Golda Asante, Eastern Regional Technical Coordinator of the GAC, said in some prayer camps, HIV carriers and persons with other communicable diseases were put together in rooms that had poor ventilation all in the name of treatment. A survey conducted by the GAC showed that most of the prayer camp leaders had no basic knowledge of the HIV and its mode of transmission and therefore brain wash their clients that HIV was spiritual disease which could not be cured with ART except through prayers and spiritual directions. Ms Asante said the situation was worrying especially when the prayer camps were strategically congregating around areas with high prevalence and appealed to the prayer camps to stop deceiving people that HIV was a spiritual sickness. She said the operations of some prayer camp remained a threat in the HIV and AIDS response especially to achieving the 90-90-90 strategy to reduce the HIV and AIDS burden by 2030 saying, it was critical for all stakeholders to play their role in conformity with the law. Mr Kozie Sambo, the Regional Coordinating Director said religion was so powerful, that in spite of people's status in society they succumbed and so urged pastors to be circumspect in their dealings with people in order not to blur their reasoning. He appealed to the prayer camp leaders and pastors to peer review themselves to ensure that their activities did not jeopardise that of the national effort.